Anticopyright: Editorials and articles originated on TMS may be freely reprinted, disseminated, translated and used as background material, provided an acknowledgement and link to the source, TMS: Transcending Nukes, is included. Thank you. An excellent wrap up. Thank you Dr. Perlman. And thank you for your excellent side panels during the negotiations. Enlightening and helpful. One comment from above: “Abolitionists….don’t address the underlying conflict.” , the citing some useful tools “…including tension reduction, reassurance, satisfying basic human needs, legitimate goals, just grievances and creative conflict transformation.” I’m an abolitionist, and along with those I know for abolition I believe would generally be supportive and long active in those pursuits. But for sure for those who just hurl names and judgements at the other… yes, there is much to learn…. from your work. Also, yes, very importantly, each of us knowing how we know it or not are invested in armament companies, especially nuclear weapons. Unless you take the time to have your financial advisor dig into those mutual funs, retirement funds, etc.. You will be shocked. 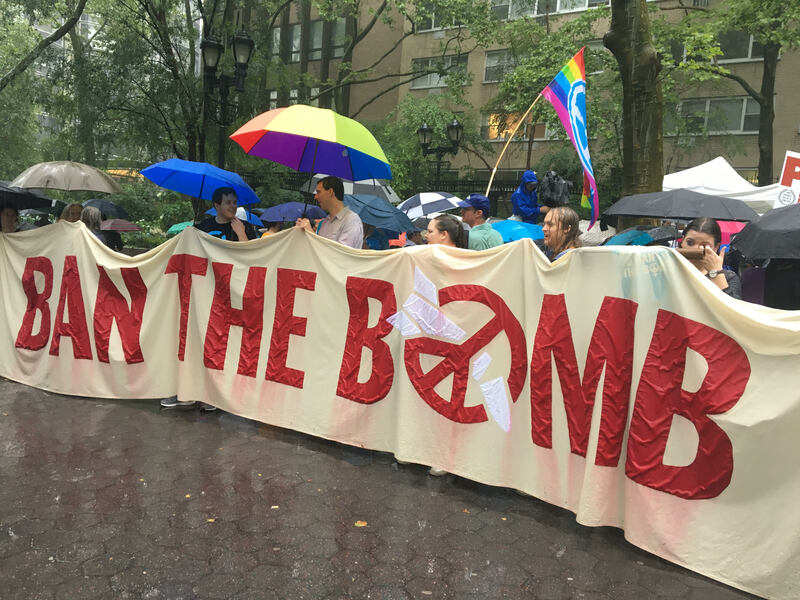 Don’t Bank on the Bomb will be coming out later this week with their second article on our first US bank, Amalgamated Bank, based in NYC with a branch in DC, which has publically come out with their announcement “Divesting in Warfare”. If you would think about divestment, it would greatly help this cause, and the underlying support citizens give to our military industrial media congressional complex. I watched your video. It features many representatives of civil society who were together at the UN, some for 3 weeks, several I have had the privilege of being with for a few decades. I intend to get Transcend accredited to future UN meetings so any of you who wish to build our presence can join me. Also yesterday, on Gandhi’s birthday, I opened up an account at Amalgamated at the DC branch. Those in the US who are not in NYC or DC Can open up an account with Amalgamated for online banking and get cash at designated ATMS without a fee. Many ways to turn the tide. Keeping nukes in the hands of few bullies will force many third world countries to seek to build them. What is the difference between North korean nukes and US nukes, why should we ban North Korea from having them while allowing US to have Nukes? Is trump wiser then Kim, I doubt that. Nukes are not the only problem, look at the international justice Court and it’s decisions, most of them are against african leaders (The crimes of G W Bush in iraq are a lot worse), and by the way Africans are withdrawing from it and not accepting it’s laws. Why only the largest 5 Nuclear powers have a VETO right in the security council? 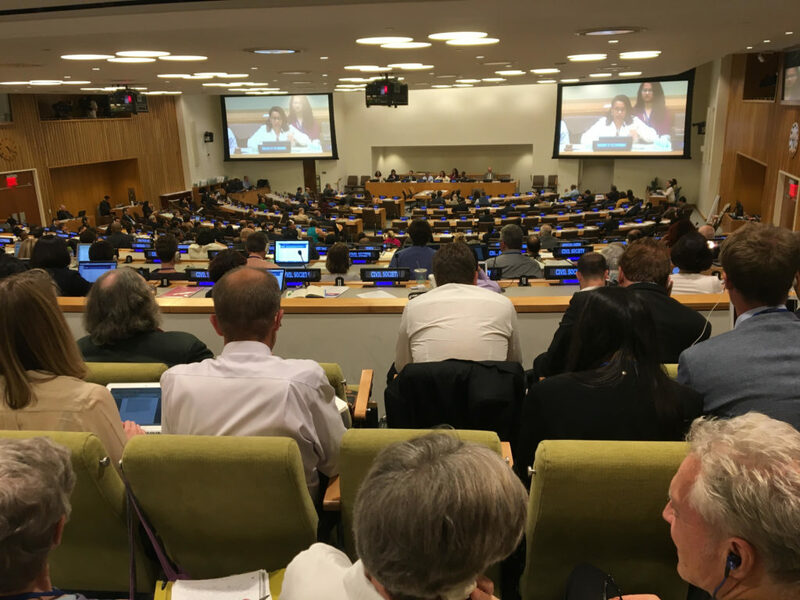 Thanks for raising the Humanitarian Consequences issue – see links below. 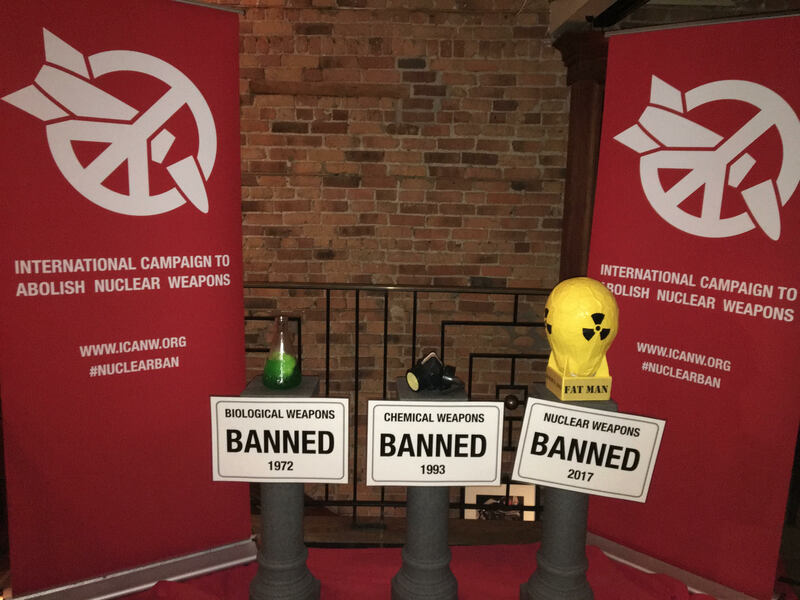 Having been involved with nukes since 1981, and the UN since 2000, in recent years I have seen this initiative change the debate – although it is so obvious. It has made a huge impact, leading to the Ban treaty. However, as I say in my editorial, consequences do not address the causes and underlying conflict. This is where Transcend and social science come in. Every initiative has value and brings us further. I suggest we have an initiative dealing with causes and social science. 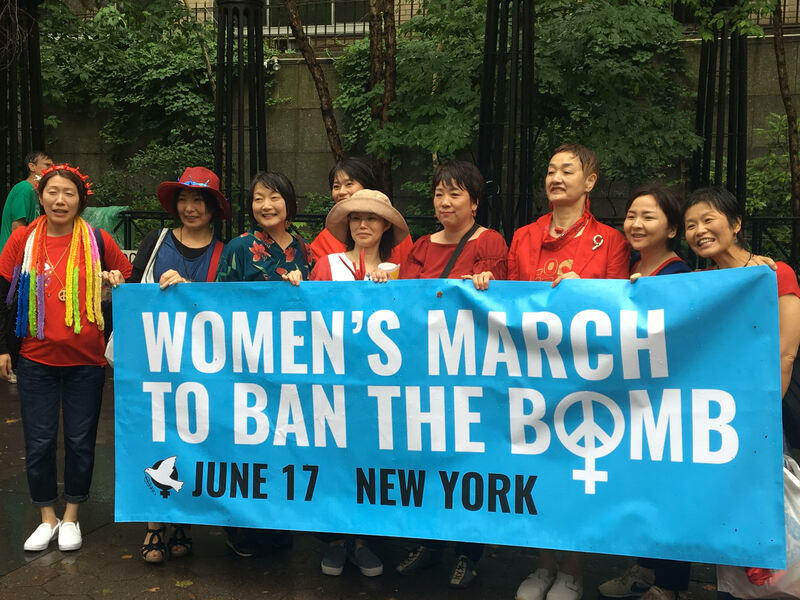 We have established many times that nuclear weapons are illegal and immoral. I am adding that they are also irrationalMany people will do things that are illegal and immoral if it will save their lives – but not things that will get them killed. My fellow [members of nuclear deterring nation], test out the morality of this statement in your own conscience: “Any nation that truly loves its people and way of life should be ready to commit genocide in order to defend them.” Can you square your conscience with that statement? I cannot. Nuclear weapons are weapons of genocide. To build them or possess them is to threaten genocide and express implicit agreement with the morally atrocious Hitlerian statement above. Any nation that would claim to be thoroughly committed to not committing genocide under any circumstances should get rid of their nuclear weapons, unilaterally, and yesterday if possible. I do not support nuclear deterrence because it involves threatening genocide, and genocide is not a morally appropriate response to any action, even genocide itself. If genocidal mass murderers attacked millions of our nation’s people with their nuclear weapons, I would NOT want the country I love to retaliate by genocidally mass murdering millions of the same ethnic group as the leader launching that attack. So if we do NOT consider ourselves Hitlerian utilitarian pragmatists, ready to use genocide if necessary to protect our national interests, then we should dismantle and destroy our weapons of genocide immediately. No nation needs weapons of genocide to defend themselves and their way of life, and our nation is no exception. As leaders of this great nation, I urge you to dismantle our nuclear arsenal on principle–the principles we should stand for as those who would claim to be better than the Nazi murderers of millions who are the modern standard-bearers of evil incarnate. North Korea proves the insanity of the whole business. By 2020 they could have 100 nukes, making this pis sant country a major nuclear power. Congrats for the Nobel Peace Prize to all signatures of the International Campaign to Abolish Nuclear Weapons. There have been many questionable laureates in recent years, but this was finally a Nobel Peace Prize winner we can all gleefully celebrate. Thank you for all the hard work for decades, and especially on the incredibly important resolution in the United Nations. 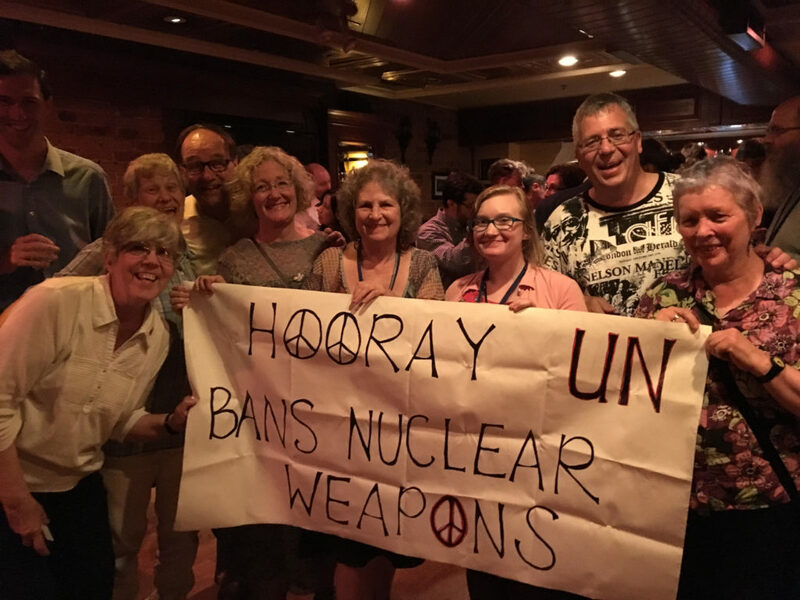 International Physicians for the Prevention of Nuclear War won. I was then a speaker for PSR, Physicians for Social Responsibility, the US affiliate of IPPNW, and in 1995 Joseph Rotblat, Pugwash Conferences on Science and World Affairs. I interviewed Rotblat in 1999 for my research on the courageous personality. In 2005 it was the International Atomic Energy Agency, Mohamed ElBaradei, usually on the 10 year anniversaries after the 1945 US atomic bombings. 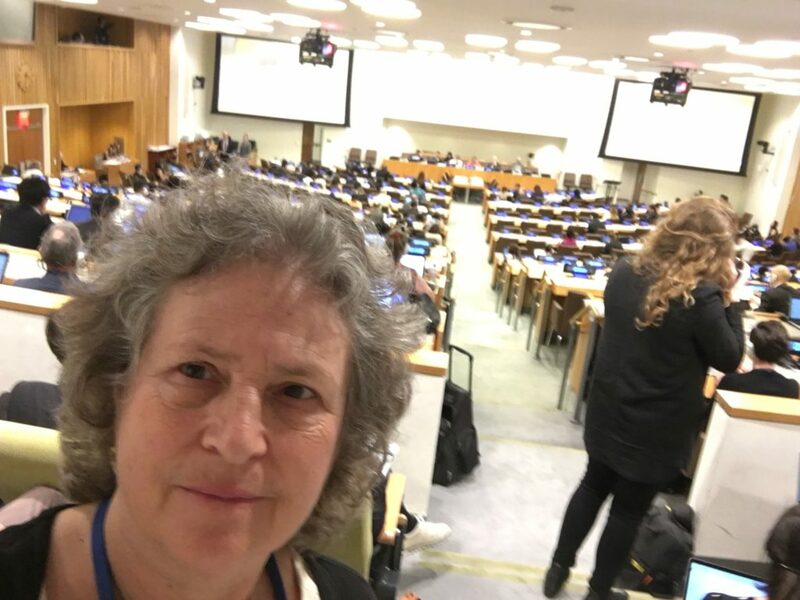 At the UN I did a presentation of my slide show, Nuclear Mystique which is an engaging orientation to the psychological history of the evolution of nukes, I am available for teach-ins and presentations of my slide show, hopefully more people will be interested now. Thanks t Transcend for the opportunity to write this editorial which is more timely than expected. Thank you for this timely and compelling editorial, followed by the announcement of the Nobel Peace Prize to the highly deserving International Campaign to Abolish Nuclear Weapons. Yes, we need to stop making killing machines and invest in life-affirming endeavors!